In remote regions across Australia, a war between man and dog is currently underway. The bloody, brutal battle has been raging for generations and has now reached its tipping point, as sheep farmers across the country are facing severe financial losses as wild dogs continue to kill their livestock. Just outside the East Gippsland town of Omeo in north-eastern Victoria, beside the road to Benambra, sits a prominent gum tree that’s heavy under the weight of approximately 30 decaying dog carcasses. This is just one of many trees like this in Australia, where sun-bleached skeletons and bared teeth are left spinning in the breeze as a warning to other predators who dare cross the threshold onto fed-up farmers’ properties. Some of the dog carcasses resemble the archetypal dingo, with lean golden bodies and broad heads. Others aren’t as easy to define and almost look more like domestic pets than a wild, sheep-killing beast. To Australian sheep and cattle producers, there is no distinction. If a farmer thinks a dog poses a threat to their stock it’s shot on sight and defensive poisoning is usually rolled out in spring and autumn. However, despite persistent wild animal control, farmers are still experiencing stock losses in record-breaking numbers. Just south of Omeo, the owners of Bindi Station were losing 1500 sheep a year and lambing in some mobs had dropped as low as 10 per cent before they installed electric fencing. The owner of this property, Fraser Barry, has been operating at a loss for fifteen years, and every waking hour is dedicated to animal shooting and setting animal traps in a bid to get the number of wild dog attacks under control. After suffering from a lack of sleep and emotional and physical exhaustion, he was actually told he was suffering from a form of post traumatic stress, but he’s one of the lucky ones. In this remote Victorian locale, around 25-30 families have been forced out of the community because dingoes and other breeds of wild dogs had destroyed their wool shearing businesses. But why has the wild dog problem in Australia gotten as bad as it is? In Australia, legislation deems that the dingo is a pest in every mainland state and territory except the Northern Territory. Believed to be descendant from domesticated dogs in Asia, dingoes aren’t even protected in most National Parks. However, despite the need for wild animal control, baiting is restricted to ensure the dingo can survive as an Australian ‘wildlife species’. The only exception to this is in Victoria where dingoes are considered a threatened species and are protected in national parks under the Wildlife Act 1975. But, they are fair game on private properties or within a 3km buffer of public land boundaries to safeguard livestock. In New South Wales, Queensland, South Australia and Western Australia, landowners also have free reign and are actively encouraged to cull dingoes to protect their livestock. There are huge tracts of land in Australia where dingoes roam free without any form of control on them. Virtually anywhere in the Outback that is not used for pastoral farming has dingoes that are generally undisturbed. According to Greg Mifsud from the Invasive Animals Cooperative Research Centre, any dog has the potential to kill livestock. 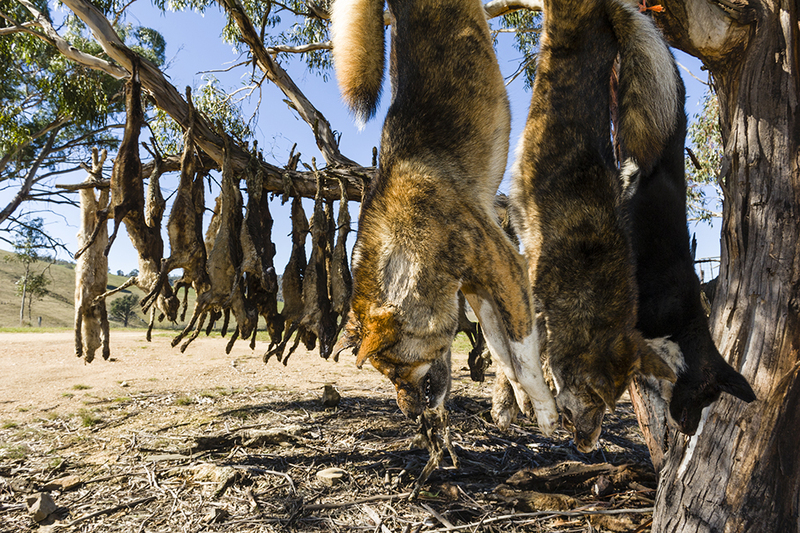 With the sole aim of controlling wild-living dogs, including dingoes, wild dogs, and their hybrids, they support aerial and ground baiting, trapping, fencing, and shooting, where necessary. Of course, wild dog control often means reducing their numbers enough to avoid predation and losses on cattle, but in sheep growing areas, one wild can cause so many losses that the battle intensity increases significantly. “The annual cost to the Australian economy in sheep and cattle losses from wild dogs and control efforts is in the hundreds of millions of dollars,” says Greg. One of the main reasons dingoes pose such a big threat to Australian farmers is their ability to adapt. Since they were introduced to Australia, they have learned how to survive in the harsh Australian landscape. Able to walk 10km in 50-degree heat just to get a few drops of water from a tap, they can travel 100km and back in the span of a week. You can see them roaming towns, living around airports and caravan parks, and they love a good rubbish pit. Despite 200 years of dingo control, it seems the number of wild dogs populating Australia is only growing. Debate is raging on about how to control this issue, with a number of Indigenous and animal protection groups’ advocating for the protection of these animals, while farmers are screaming for further action. Unfortunately, there isn’t a quick fix for this. However, if you are experiencing extreme wild dog issues in either a residential or commercial setting, talk to us about what we can do to help!